The study of science is vital. Students must observe, question, and analyze their surroundings continually. Riverhill students are provided with the skills to make discoveries on their own. 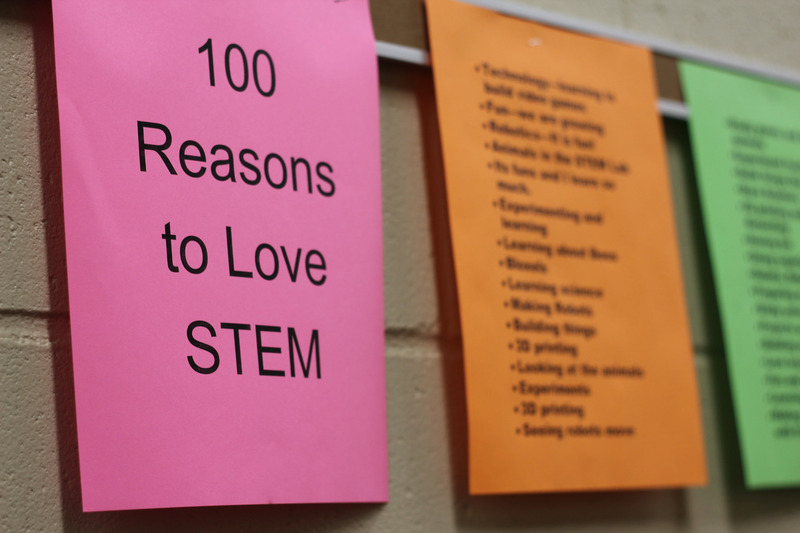 Students are continuously challenged to work as a team and to use science inquiry skills to complete assignments. Direct instruction provides background information, but the students are the “citizen scientists” that complete the project and develop a conclusion. Our students enjoy gardening projects, studying wildlife and outdoor explorations as well as experiments in the Science Lab. We provide numerous opportunities for the parents and community to be involved in our science program and to assist in students learning. Annually, we host a Science Family Fun Night and Science Olympics that are schoolwide events enjoyed by our students, parents and community. We focus on the Alabama Science Course of Study but expand on these basic standards. Robotics/Engineering class is a critical thinking component in Riverhill’s Enrichment curriculum. The class is taught in Pre K3 through Sixth Grade. Pre K3 through second grade students spend thirty minutes each week focusing on various projects while third grade through sixth grade students work as teams for forty-five minutes each week. Working together as a team is a wonderful learning experience for the students; in fact, teamwork is an important social skill that lends itself perfectly to the robotics projects. Communication and presentation skills are also taught and practiced as we share our accomplishments after each class period. Our thought process aligns to the Engineering Process: Ask, Imagine, Plan, Create, Improve and Present. 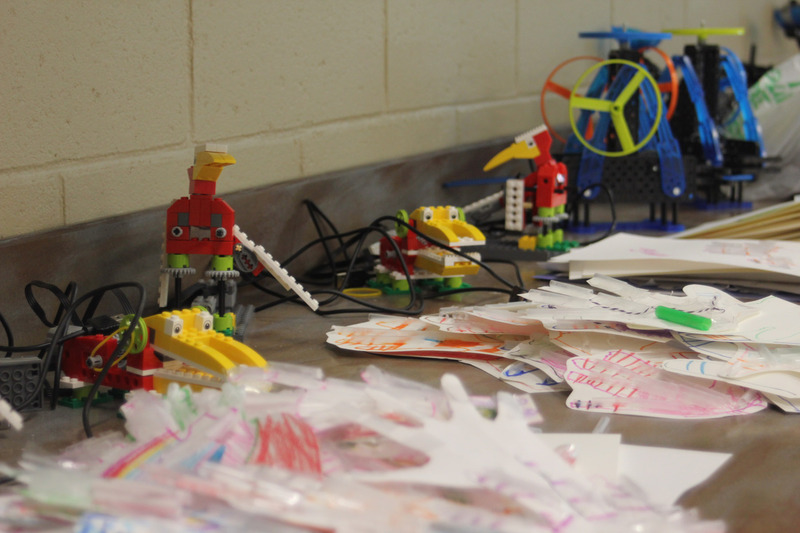 Students use a variety of kits from the Lego Education series along with VEX products. We focus on constructing, programming and testing the robotics. Our robotics equipment requires understanding logic and being able to program the robots using either Propeller or EasyC. We have an annual Robotics and Engineering Day at Riverhill School where students compete and learn from the robotics they have constructed and programmed in class. Riverhill recognizes technology as an important part of our rapidly changing world. Each week students in PreK3 through 6th grade attend Computer Lab. During the Computer Lab sessions, students learn concepts from the Alabama Technology Course of Study; in addition, they review important grade level skills through learning games. In computer, the students are exposed to a wide variety of skills from keyboarding all the way to coding. 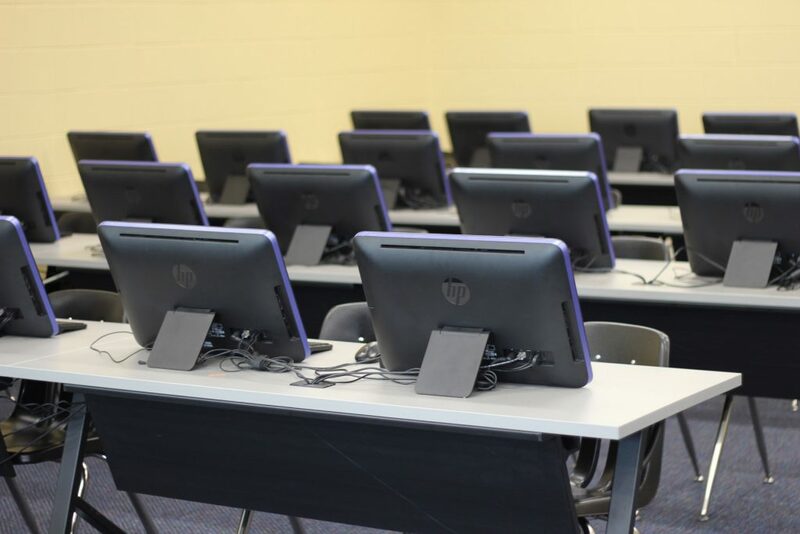 The students also use multiple technological devices (iPads®, iPad Minis®, Dell All-in-One® desktop computers, Dell laptops and MacBooks®) to improve their ability to apply their skills in numerous ways. PreK-4 through Third Grade students have classroom sets of iPads®. Fourth Grade through Sixth Grade students have individually assigned iPads®. Our older students also have access to Dell® laptops and MacBooks®. Most classrooms are equipped with an interactive whiteboard, a multimedia projector, and a document camera. The use of technology is also integrated into the curriculum. The students have the opportunity to participate in a school-wide Technology Fair in addition to the AISA and ATEC Regional and State Technology Fairs. Students, parents, and staff have internet access at every computer in the school through wired and/or wireless technology. The campus network is protected by a state-of-the-art firewall with advanced filtering capabilities. In addition, the Riverhill community uses RenWeb to communicate school information and student grade reports in a private secure manner.